The Dunkirk behind in the first photo and to the right on the second photo was a kit from BVM, the other is a total scratchbuild using the big brother as a guide. Still have the steps to put in and add a figure yet plus a few chains here and there. Could you explain more of what a Dunkirk is? It looks similar to a Climax. Dang Shamus. You're stuff is nice. For me to explain the difference between the Dunkirk as to a Climax, would take for ever LOL, so here's a link to it. So it's from about 1885 Shamus? 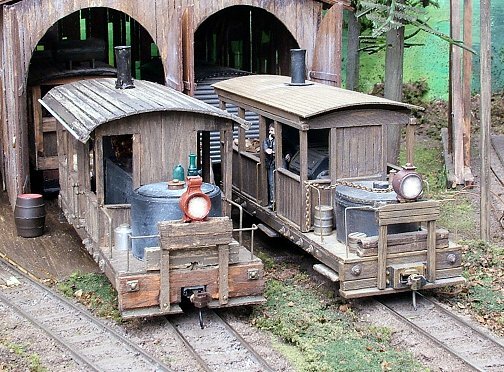 What kind of mechanism is inside those locos? 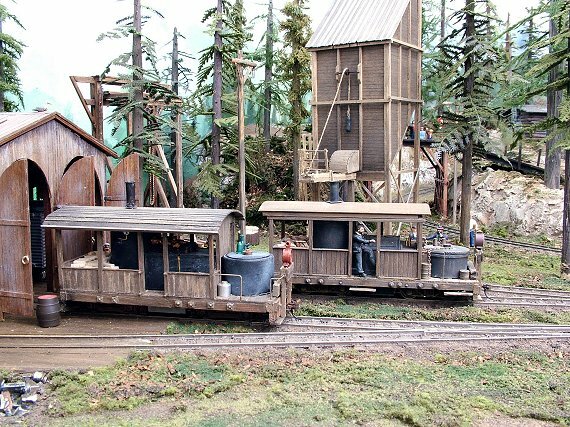 I'm not too familiar with O gauge stuff. Does it have a standard locomotive mechanism? , should have known better thanks for the link, it was quite interesting. Excellent work, the models, scenery and photography.